I don't do many reviews, so here's an exception: ST-99 Bluetooth Headset review. Picked up one very cheap at about $15 to try with my iPhone, iPad and various Android devices. Yes, its not really a feature of the headphones, but the combination of the BT99s with my iPad and the iOS TED app is simply fabulous! 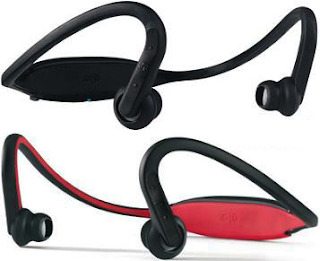 I think bluetooth headset are great for joggers. Since it bluetooth is wireless, it will not cause any hassle when they jog.